Congrats on the success of the Manager Games! 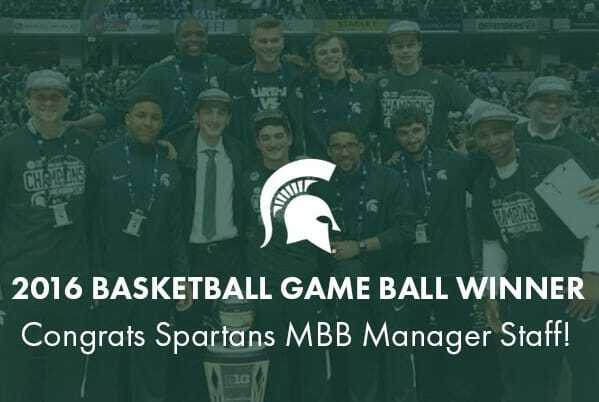 Making the Manager Games become a reality has been the work of Michigan State student managers, Ian May and Andrew Novak, and Michigan State Assistant Athletic Director and former manager, Kevin Pauga. Manager Games made their NCAA Tournament debut at the Final Four in Houston this year. The success of Manager Games continues to rise and has expanded across conferences. During the 2015-16 season, 278 games were played by 137 schools representing 25 conferences.